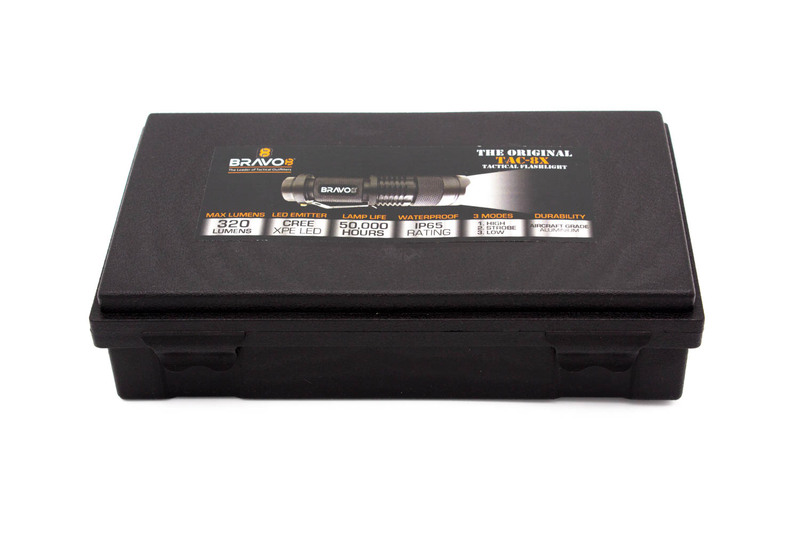 The TAC-8X Tactical Flashlight Kit comes with a powerful LED flashlight that fits in the palm of your hand! 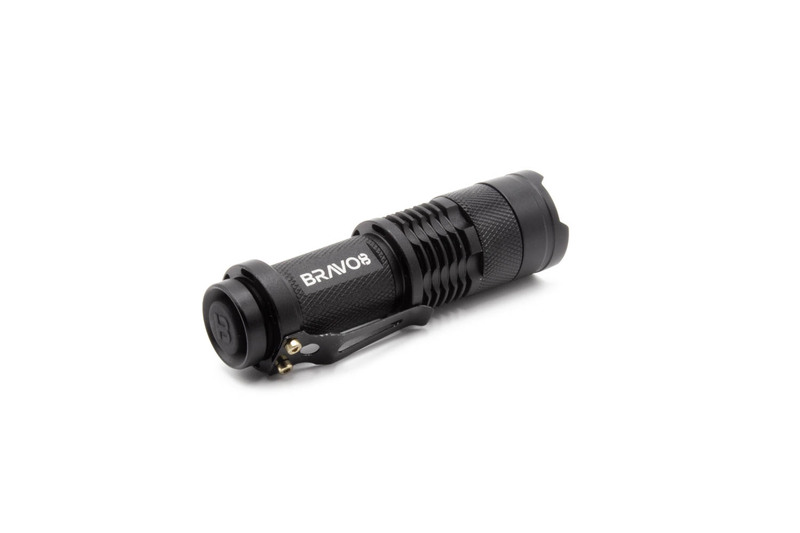 Thanks to the USA Made CREE XPE LED Emitter Bulb, this compact Tactical Flashlight puts out an impressive 320 blinding lumens. Made from Military Grade Aircraft Anodized Aluminum, the TAC-8X has a Waterproof Rating Standard of IP65, & is truly ready for anything! 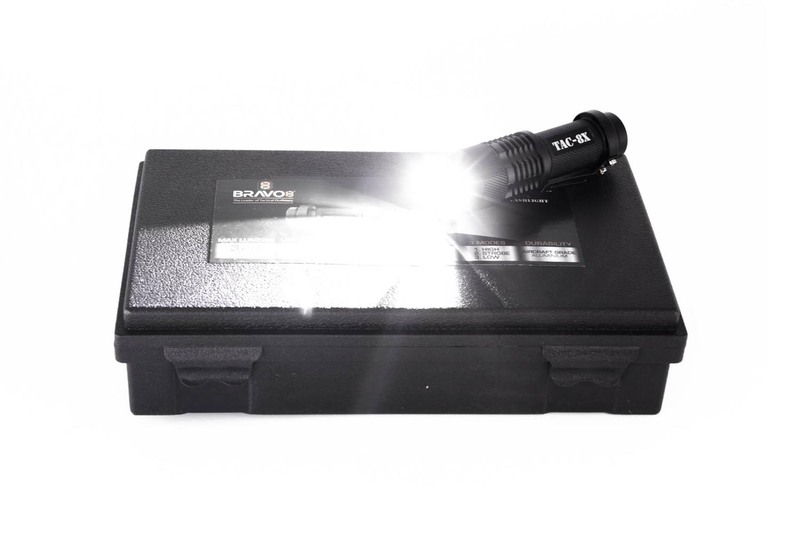 The TAC-8X Tactical Kit contains a battery charger & rechargeable battery made to maximize light output as well. 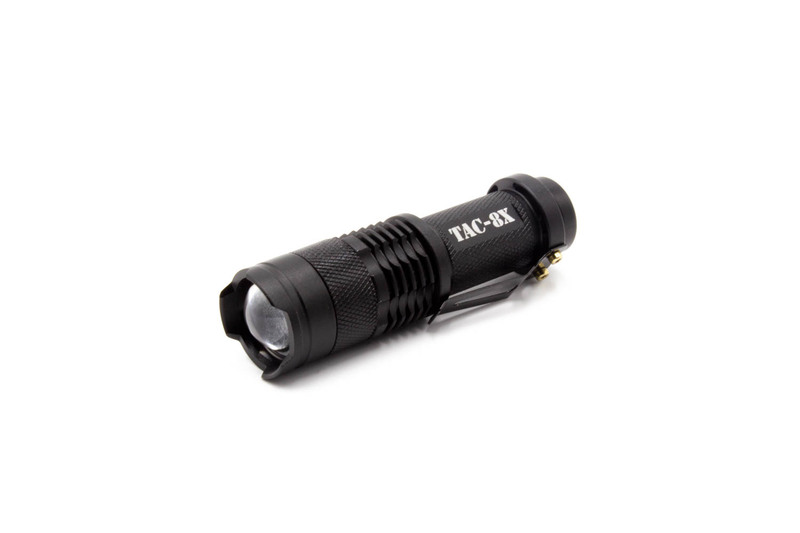 The size of the TAC-8X makes this Flashlight perfect for your pocket, your car, a camping bag, or anywhere else you could think of. 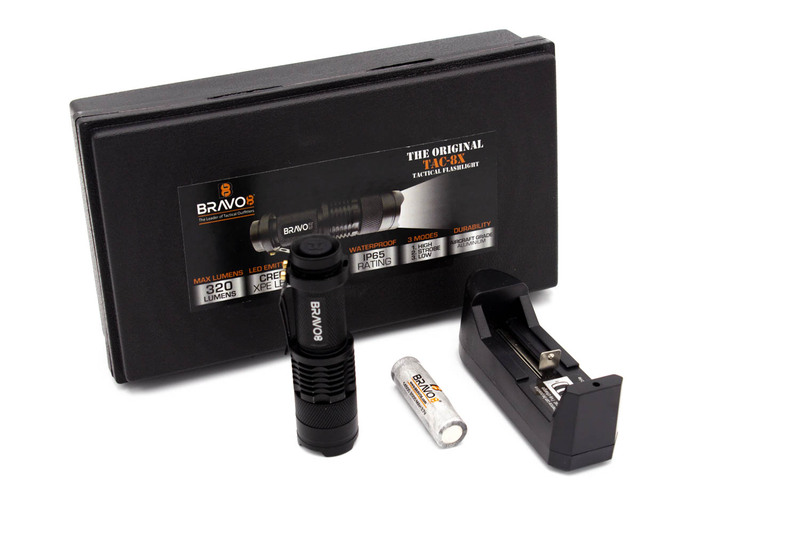 To get the most out of this already incredible flashlight, this full TAC-8X Kit is a MUST! 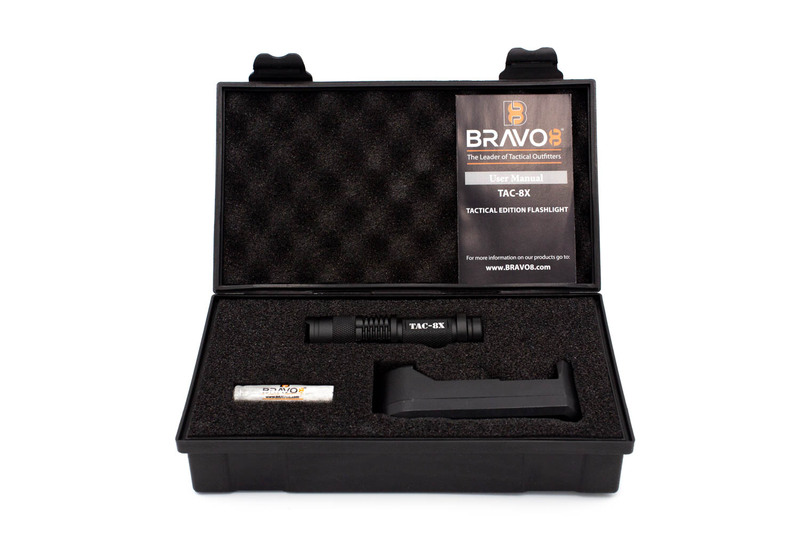 Complete with a 14500 Rechargeable BRAVO8 Lithium-ion Battery, Battery Wall Charger, Attached Clip & Protective Storage Case, the TAC-8X Tactical Kit makes a great gift for the hunter, fisher, prepper, camper, or hiker in your life who needs a flashlight that is going to keep working when it’s needed most.